Whether it's boom or bust time, the Eagle Ford Shale project has changed the landscape of South Texas. On this edition of ARTS, Donna Parker takes us to see a brand new exhibition called, The Other Side of Eagle Ford Shale. 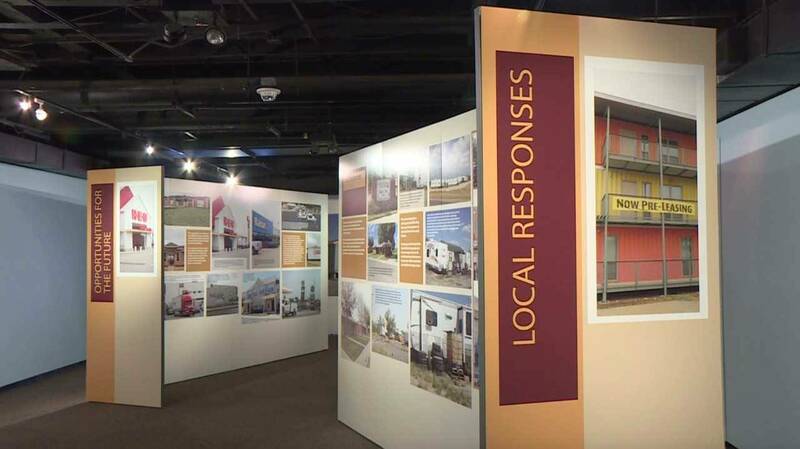 The exhibit highlights how this multi-million dollar hydraulic fracturing project has impacted the architecture, housing and social lives of hundreds of small-town residents. The photo ethnography showcase is on display at the Institute of Texan Cultures through Oct. 1. Conceived and developed by the University of Texas at San Antonio, the exhibit combines art with personal stories to paint a picture of how this huge oil project has impacted living conditions and lives of thousands. The exhibit aspires to become a more positive blueprint for other fracking regions around the country. Watch this episode of ARTS airing Thursday, June 22 at 8 p.m. on KLRN.